RingMeMaybe is a new app for iOS that allows you to create and manage an unlimited number of virtual (disposable) phone numbers (and delete them) for your iPhone, iPad, or iPod. The application is available as a free download from the iTunes AppStore , which includes 20 credits – to be used for two new virtual phone numbers that each last for one week (or one virtual phone number that can be extended to two weeks). You can buy more credits ($0.99/number/week) or earn them free by clicking on ads. 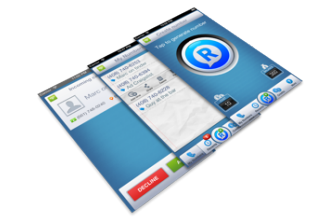 After downloading the app, you can quickly create virtual phone numbers that will ring on your device. Once created and associated with the iOS device, calls to that number will then automatically be directed to that device – even if the app is not open.